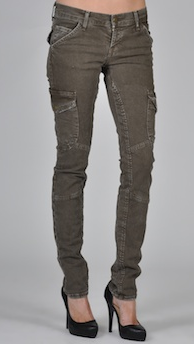 If you loved the skinny cargo pants trend of fall, but were unsure about committing, now if the time to buy a pair! This trend definitely has staying power, and will certainly be around for a few more seasons. I really like the seam details at the knee on this Current/Elliot pair, and they're on sale! Buy at Ivy Blue for the sale price of $175.